I was born in the Slovenian city Celje on 31.03.1970. 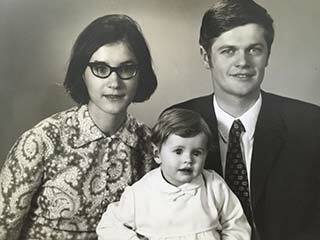 Both of my parents are living in Celje: my mother Zdenka holds a Diploma degree in Economy and for numerous years she has been teaching at the trade-commercial high school in Celje, and my father Milan, holds a Law degree, worked as a judge in Žalec and for some time also in Celje. At the age of 6 my sister Vesna was born, who later stepped into my father´s shoes and graduated at the Faculty of Law. I attended the primary school in Žalec and enrolled to the natural science and mathematical high school in Celje, which I finished in the year of 1988. In terms of higher education, I was thinking of studying economics and law, but decided to enroll at the Faculty of Natural Sciences and Engineering, where I got my degree in 1994. In 2006 I got my Master’s degree at the Faculty of Social Sciences with the thesis of non-profit organization management. Music has always played an important role in my life. I played piano in the elementary music school and was a member of a school choir during elementary and secondary school. I am overwhelmed that the love for music can also be seen in my daughter Nuša, who at first played the violin and now sings. I met my significant other at the end of 1988. After finishing studies we decided to move to a place called Stražišče near Kranj, where we still live today. We are exceptionally proud of our two beautiful children, Nuša and Oskar Although I am living in the Gorenjska region for a while now, my roots are still in the Savinjska Valley which is reflected in my stance of being a woman standing behind one’s decision. My professional career took off at a private micro company and since 1995 I have been closely associated with the public administration. At first I took part in a project for establishing a network for promoting small businesses at the Ministry of Economy. In 1999 I was appointed at the Ministry of Finance, where for several years I was in charge of the Budget Directorate. As a founding member of the political party Pozitivna Slovenija (Positive Slovenia) I had a chance to enter into the world of politics. Being an active member of politics I wanted to change things for the better. In 2011 with the slogan that we have to restore hope and confidence in our state I was successfully elected as a member of the National Assembly. The newly elected members of the parliament stayed in the opposition, but as a member of the opposition I was appointed as the head of the Commission for Public Finance Control and was a member of the Finance Committee, Committee on Justice, Public Administration and Regional Self-Government. After the Commission for the Prevention of Corruption published a report charging the then president of PS, I was elected as the new President of the party by the Pozitivna Slovenija council. This gave me the opportunity to establish a coalition and form a new government. The year of 2013 was therefore the most turbulent in my existing life: On February 27 I was elected as the Prime Minister of the 11th Slovene government by the members of the National Assembly. 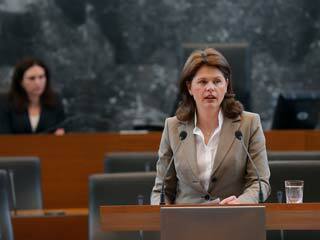 I become the first woman in the history of Slovene independence to be appointed as the executive state head. The former government of Janez Janša with its insensitive measures has led to massive protests, and because of extremely hard situation in the public financial sector the arrival of the European Troika has already been in the planning. In just one year we were able to calm things down, stabilize the situation and save Slovenia from declaring bankruptcy. We proved to both, ourselves and the world, that we know how to do it and that we can do it. The media that only a year ago was comparing Slovenia to states like Cyprus, Greece, Spain and the like, nowadays writes articles about Slovenia as a state, which in the period of two years has done an impressive turnaround from a state on the verge of declaring bankruptcy to a state with the highest economic growth. Despite these undisputed results, members of Pozitivna Slovenija political party elected Zoran Janković, the founder of this political party, as the new head of the party on April 25, 2014 at the Pozitivna Slovenija congress, which led to my resignation as the President of Pozitivna Slovenija. As the Prime Minister I was orchestrating the government in belief citizens are number one priority, and our work should be characterized by cooperation and solidarity. We had the know and the how for putting Slovenia back on the right track, therefore I decided to found a new party with my supporters, and in summer 2014 took part in the early elections together with the selected team and the given trust of hundreds of citizens and a solid determination, that for achieving greater things you have to overcome little differences and especially have a clear vision of the future. •	A market economy that will not only be competitive but also cooperative. •	Public health and public education representing two foundations of a solidarity-based state. •	Respecting the rule of law, including the unrelenting fight against corruption. 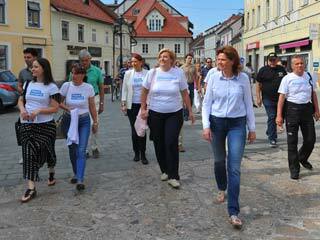 •	A well thought sustainable development representing both, the greatest Slovene advantage and opportunity. Following the 10th anniversary of Slovenia´s full membership of the European Union I pointed out, that we were not able to pick out all the benefits from the great treasury of European experiences, as we have too many a times disregarded our values in the hunt for what is worth. My political engagement is based on two underlying values: honest workwork for the wellbeing of the people and social commitmentembracing the openness to different opinions. And in everyday activities I put great emphasis on egender equality and the future of the young. 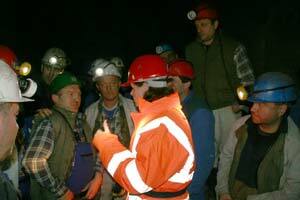 Slovenia is a beautiful country of diligent and hard-working people. Why only reproduce the politics on a daily basis, if we can address new visions? have come a long way. Let us choose wisely our goals, but be closely related amongst the selected ones, and in particular unified in actions and defending our highest praised virtues: equality, solidarity and freedom.